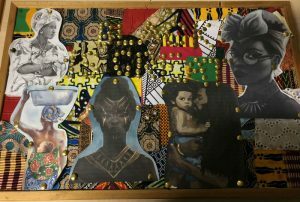 The walls of Cedar Mount Academy have some stunning artwork on display, thanks to recent events to mark Black History Month. 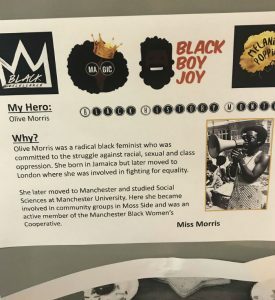 Students created artwork, poems and raps to celebrate ‘Black Excellence’ and also took part in a competition to find out information about 20 black British icons. 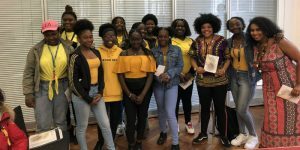 In addition, students celebrated the launch of the book ‘Her Hair a Crown’ at Central Library, after providing the artwork and helping to design the book, which celebrates natural hair. 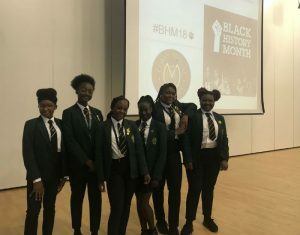 They also came to school in traditional outfits on Traditional African Dress Day and will have a trip to the lnternational Slavery Museum, as well as to the cinema to see ‘The Hate U Give’. It has been a hugely busy and rewarding celebration!